Ramle Mayor Yoel Lavi, who fully backs the soldier from his city who last week shot a wounded Arab terrorist in Hevron, spoke to Arutz Sheva on Friday about his disappointment in the treatment of the soldier by the country's leadership. "The strategic security establishment of the state of Israel is dealing with a large number of stabbings and car ramming attacks, and instead of giving the response they are passing off the judgement and responses to a lone soldier," said Lavi. In his comments he noted how the government has not put down the Arab terror wave, and instead left soldiers to deal with the threat on an individual basis. Lavi told Arutz Sheva, "when you pass along the judgement from the Chief of Staff to a soldier, mishaps are liable to occur. They aren't succeeding in dealing with the terror, and instead pounce on an outstanding soldier and place him in handcuffs." "Instead of embracing the soldiers they put them in handcuffs, that isn't how an establishment that loves its soldiers acts. The soldiers are acting in a complicated reality and the commanders aren't giving any response." The soldier has argued he shot the terrorist - who minutes earlier together with an accomplice stabbed and wounded another soldier - over concerns he was moving to detonate a bomb belt that was thought to be hidden under his unseasonably thick coat. Speaking about the details of the incident, Lavi noted, "who said that the terrorist was neutralized? Did someone report on that?" "If a soldier sees a motion of a terrorist and doesn't know if he's neutralized or not, then they accuse him for shooting - that is maliciousness on the part of an establishment that does not love its soldiers." The soldier's version of events were vindicated by a Magen David Adom (MDA) investigative committee, which confirmed that suspicions that the terrorist was hiding an explosive had not been ruled out. In a hearing on Thursday an officer in the army's Criminal Investigations Department (CID) likewise backed the soldier's version of events. Lavi called to investigate the Arab activist of the radical leftist NGO B'Tselem who filmed the incident in Hevron. "He filmed in military territory, took the material and passed it out to harm the IDF. Why aren't they doing anything? Why isn't he investigated?," asked the mayor. On Friday a petition hearing was held, as the military prosecutor fought to keep the soldier in jail after the court a day earlier ordered his release to an open base, rejecting the prosecution's request to extend his detention by seven days. 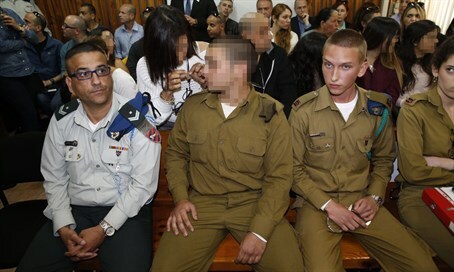 In the hearing on Thursday, the prosecutor dropped the murder charges against the soldier, instead accusing him of manslaughter.